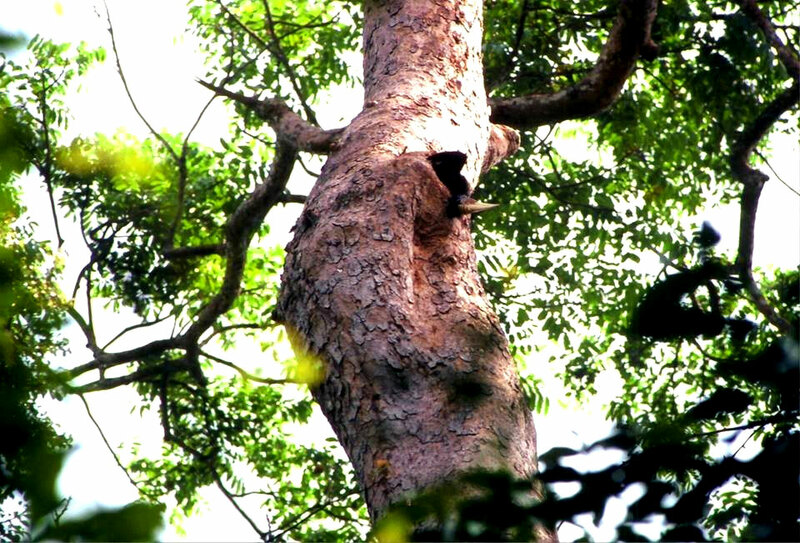 While scouting the hornbill’s nests in Khao Yai National Park during the hottest month of year in Thailand, I saw the female Great hornbill trying to emerge from the nest cavity so that she can help her mate with the feeding. I made an observation at her nest site quietly to cheer her up and figure her problem out. This female hornbill spent longer time than usual to successfully emerge from the nest. My gut feeling tells me that it’s the time for checking the conditions of nest cavity. While her chick was successfully fledged at the end of breeding season, my team did not ignore her suffer from getting out of the nest, therefore, In December, we checked and fixed the nest by expanding the width of nest entrance from 10 to 14 centimeters. 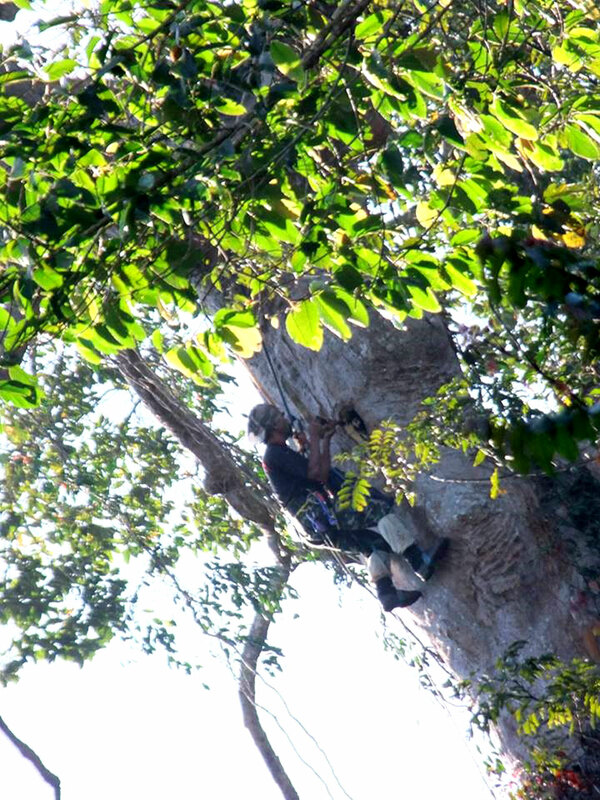 The female Great hornbill trying to squeeze herself out and emerge from the nest cavity. Because of the small width of the nest entrance, she was seen to make several attempts before succeeding. We additionally found shrunk floor, therefore, soils were added up at an appropriate level. 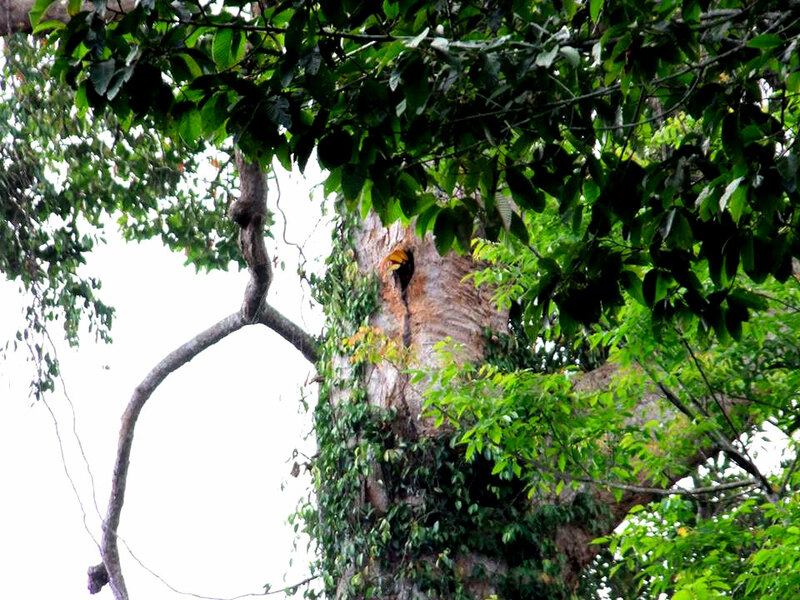 With hope, in 2018, the Great hornbill pair will reuse this cavity for nesting and will be happier and more convenient for the female Great hornbill to get in and out the nest cavity.